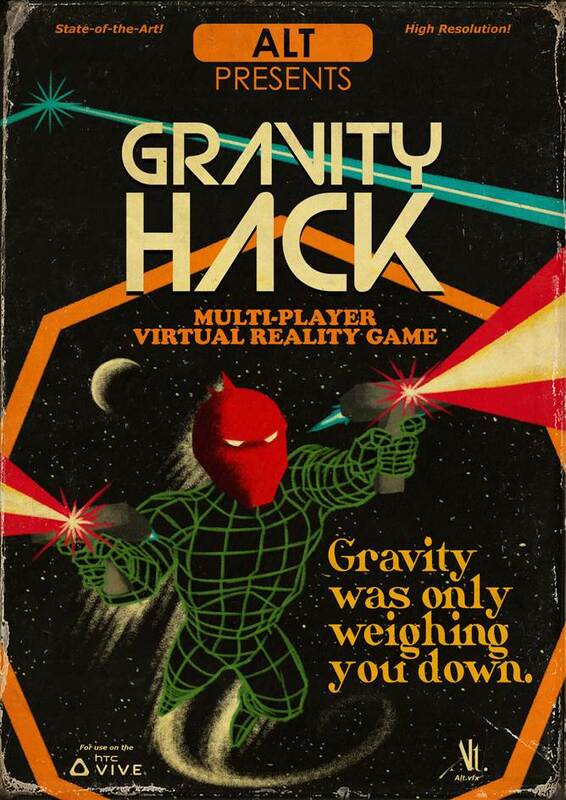 Alt.vfx has recently created Gravity Hack, a brand new virtual reality game for the HTC Vive platform. The game, which offers a classic space shoot ‘em up alongside a dynamic virtual drone race through the stars, has been developed in house by Alt.R&D, our emerging technology arm. Using the dynamic controls offered by the Vive, Gravity Hack puts players inside a retro-futuristic arcade game, where they battle against against each other in a hectic time trialed battle where up is down and down is up. Anyone interested in taking part in the battle between light and dark can do so by visiting Alt’s studio in Darlinghurst, Sydney, where a permanent installation is set up for players.